Aviary photo editor has collaborated with Adobe and with latest release on iOS and Android stores, this app is worth $200 including all in app purchases comprising of tools and supplies. All this can be downloaded by configuring the AdobeID, which will provide the access to CreativeCloud service by Adobe. 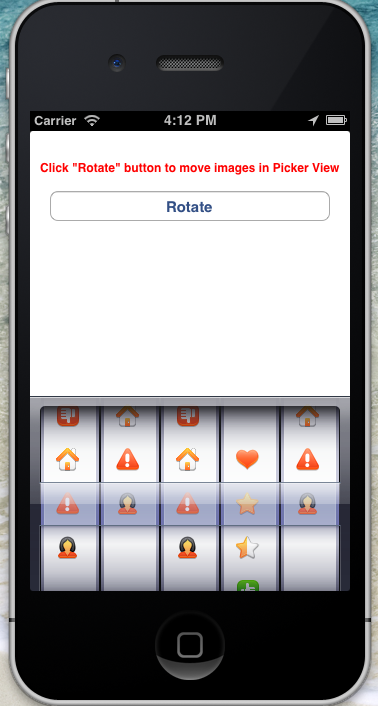 This article demonstrates the custom picker view for iPhone using the UIPickerView class. 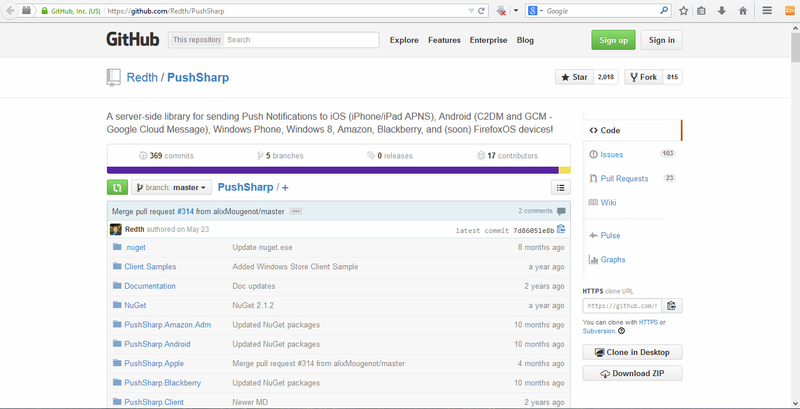 This application's main view controller contains a button, a label and a picker view control. Picker view control will have 5 columns which will be added programmatically and each column can contain n number of images. 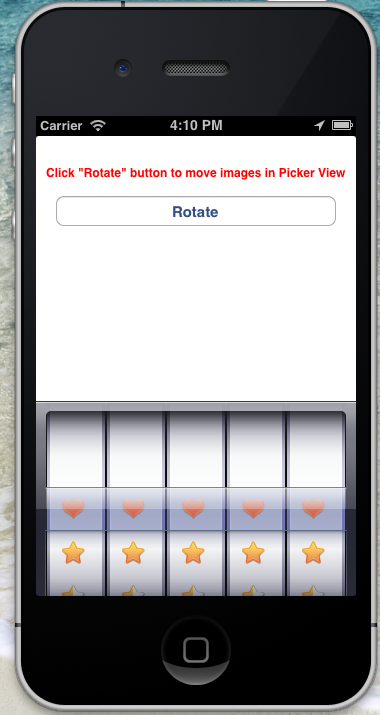 Button is used to rotate the images in the columns of the picker view. Label is used to display result when any 3 consecutive columns have same image value. Create a new Xcode project using Single View Application template and place the above controls in the view controller. 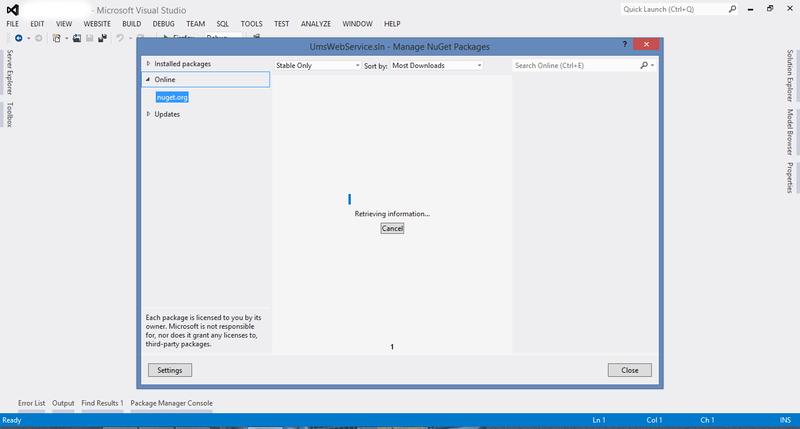 Add picker view delegate, datasource, other actions and outlets for the controls in the header file. The ViewController.h file should look like this. The NSArray declared above will be used to hold the images for each column of the picker view. Synthesize all the above properties in the implementation file. Rotate button action will check for the win-win condition every time its clicked, if condition is true, then win message is displayed otherwise button can be clicked till the condition is true. Implement the picker view delegate methods to display the images in the picker view. The output should look like this. After rotating it could look like this. Thanks! your feedback is most valuable! Display multiple columns in UIPickerView. 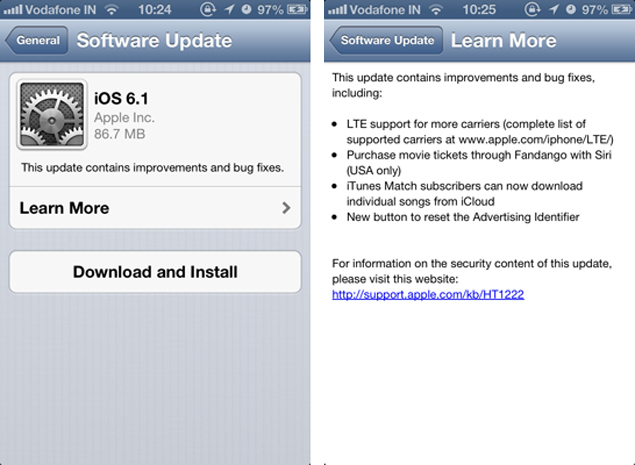 Apple rolled out the final version of the iOS 6.1 for iPhone, iPad and iPod touch to the public Monday following Saturday’s release of the fifth and last beta of the latest firmware update. Millions of iOS device owners the world over finally got the much-awaited update almost three months after the first beta of the iOS 6.1 was seeded to registered developers in November last year. As with iOS 5.1 last year, the iOS 6.1 update seems to be primarily focused on fixing bugs and making incremental improvements. The easiest way to install the new iOS 6.1 update is over-the-air from Settings, General, Software Update, although the traditional method of updating via iTunes is still available for users who prefer that approach. As with any update, it’s a good idea to make sure you have a recent backup to either iCloud or iTunes—or both—before starting. iOS 6.1 improves international LTE carrier support by unlocking LTE capabilities for dozens of additional carriers worldwide, with one very important caveat: you must be using an iPhone 5, iPad mini or fourth-generation iPad. International users of Apple’s first LTE device—the third-generation iPad released last March—will unfortunately still be left out in the cold as both the AT&T and Verizon third-gen iPad models were seemingly built for North American carriers only, and therefore don’t support the LTE frequency bands now used by most carriers outside of North America. 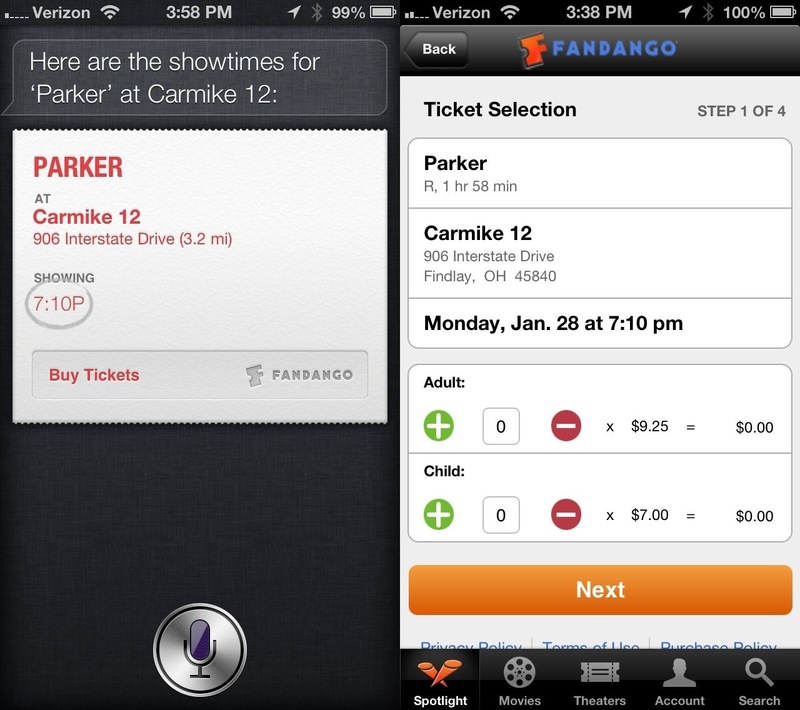 iOS 6.1 users can now purchase movie tickets with some assistance from Siri—a process similar in concept to the restaurant reservations via OpenTable added in iOS 6.0. Users will need to have the Fandango app installed—a voice prompt encourages you to do so if it’s not already there—at which point making a request to purchase movie tickets will basically just hand you off to the Fandango app to complete your purchase. Note that this Fandango feature is only available in the U.S. at this point. Siri can continue to handle movie lookups as before, but requests to book tickets will result in a message that it can’t do so at any of the available theaters—presumably the same response you’ll get even in the U.S. if no nearby theaters provide online ticket sales via Fandango. iOS 6.1 brings a relatively minor improvement to iTunes Match in the form of the ability to download individual tracks on demand—a feature that was available in iOS 5 but mysteriously disappeared with the release of iOS 6.0. In iOS 6.1, each individual track now has an iCloud download icon that can be used to fetch the track from the cloud and download it to your local device’s storage. This is essentially the same thing that happens when playing a track from the cloud, but provides users with the ability to pre-download a few tracks without having to fetch an entire playlist—useful when you know you’re going into a place with a poor Internet connection, or if you’re on a limited data plan and are leaving Wi-Fi coverage. 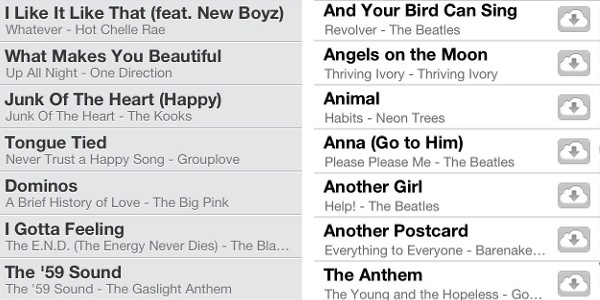 Oddly, however, the Music app in iOS 6.1 treats manually downloaded tracks differently from automatically downloaded tracks—tracks played “from the cloud” are still downloaded as you listen to them in the same way that they have always been, and once played can be replayed without a network connection. However, these tracks retain the iCloud download icon beside them until you manually download them. iOS 6.1 also brings back the ability to swipe to delete tracks from local storage. Note that this feature only works in the standard track views, not when viewing tracks within a playlist. Swiping left-to-right on an individual track will provide the option to remove that track, and when working from the Albums or Artists listing, you can swipe-to-delete to remove all downloaded content within a specific album or by a specific artist. 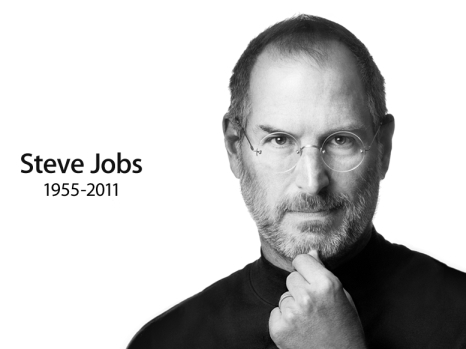 As in iOS 5, content is only removed from your local device and remains available in your iCloud library. The iOS 6.1 update also makes another minor change related to the Music app, with the playback controls now rendered with a metallic look, both in the Music app itself as well as on the lock screen. 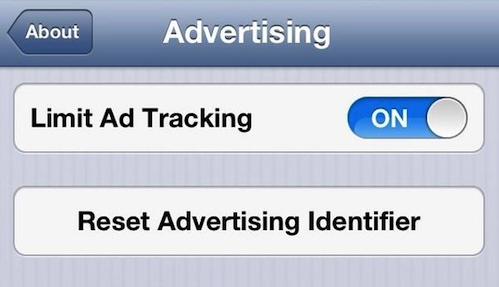 In iOS 6.0, Apple introduced a new Advertising Identifier to replace the use of the unique device identifier (UDID) that many developers and advertisers had previously used to track specific devices for features such as ad targeting. Users were initially given the ability to disable the use of the Advertising Identifier by toggling on the option to “Limit Ad Tracking” hidden under Settings-> General-> About-> Advertising. iOS 6.1 expands this by adding a button that can be used to reset the advertising identifier—a useful feature for those users who may not mind targeted ads but may wish to effectively “start over” with a new unique advertising ID. It’s actually worth mentioning here that the appearance of these features in iOS 6 is actually an attempt by Apple to increase privacy. 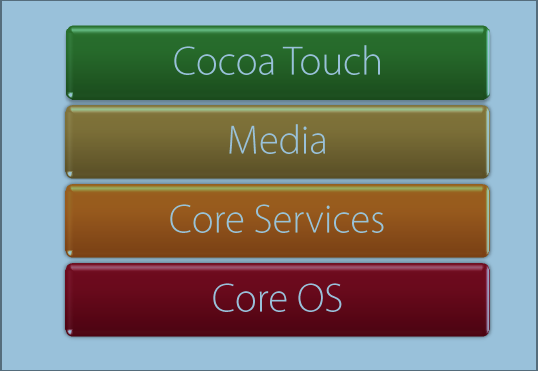 Prior to iOS 6, developers were using the UDID—a unique, unchangeable value tied to your specific hardware device—to track advertising. Apple has begun transitioning developers away from using the UDID, and is expected to prevent third-party access to it entirely at some point. Developers will then be required to use the new Advertising Identifier for ad tracking—a setting that users now have the ability to reset on demand or disable entirely. But What is the Advertising Identifier? iOS 6 introduces the Advertising Identifier, a non-permanent, non-personal, device identifier, that apps will use to give you more control over advertisers’ ability to use tracking methods. You can reset a device’s Advertising Identifier at any time. And, if you choose to limit ad tracking, apps are not permitted to use the Advertising Identifier to serve you targeted ads. In the future all apps will be required to use the Advertising Identifier. However, until then you may still receive targeted ads. Apple has also included a variety of security fixes in version 6.1, including for WebKit, Wi-Fi, and other services. 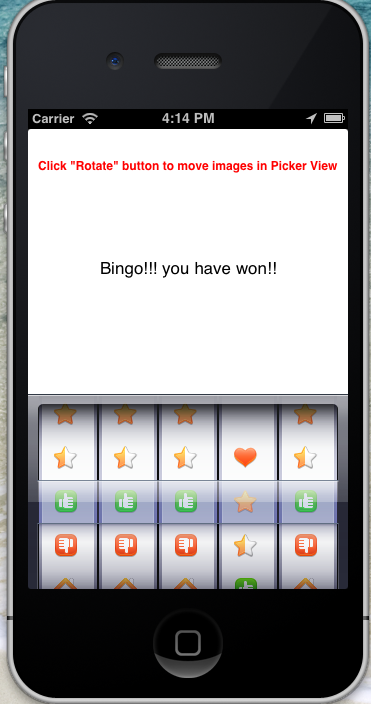 iOS application with Tab Bar and Navigation Bar for Tabbed navigation as well as Back Forward Navigation. For developing an application with tab bar and navigation bar, create a new Xcode project with Tabbed Application Template. and AppDelegate implementation file will contain the definition of all the view controllers which are to be placed in the Tab Bar of the application and Title of those controllers will be displayed in the Navigation Bar. The above code holds the key for displaying the view controllers with Navigation bar. 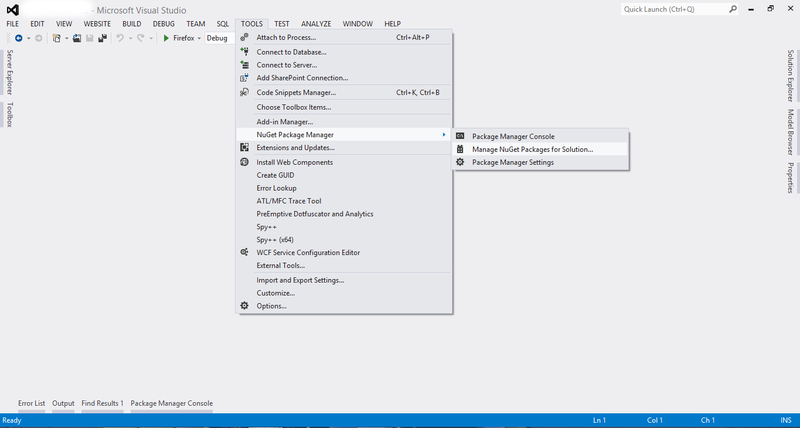 Please import header files of all above controllers in the AppDelegate. If we add controllers directly into the self.tabBarController.viewControllers then all the controllers will open without the Navigation Bar. In the each view controllers' initWithNibName set the title and image to be displayed with the Tab. Add star named image in the project. To open a new view controller with Back navigation on the Navigation Bar along with the Tab Bar at the bottom, Open the new view controller on a button touch up inside or any other action as follows. And you have the app ready with Tabbed Navigation at the bottom and Navigation Bar at the top. 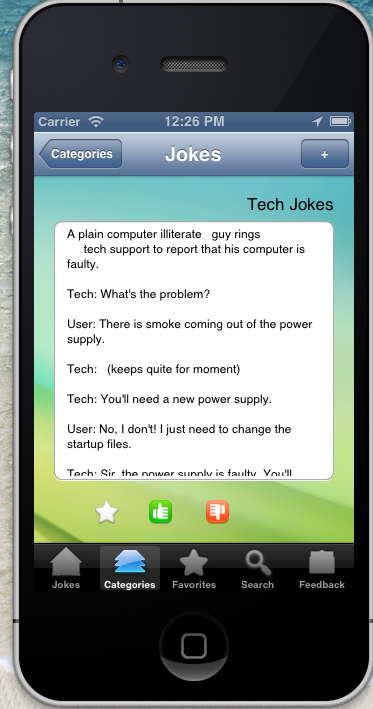 The App will look something like this. 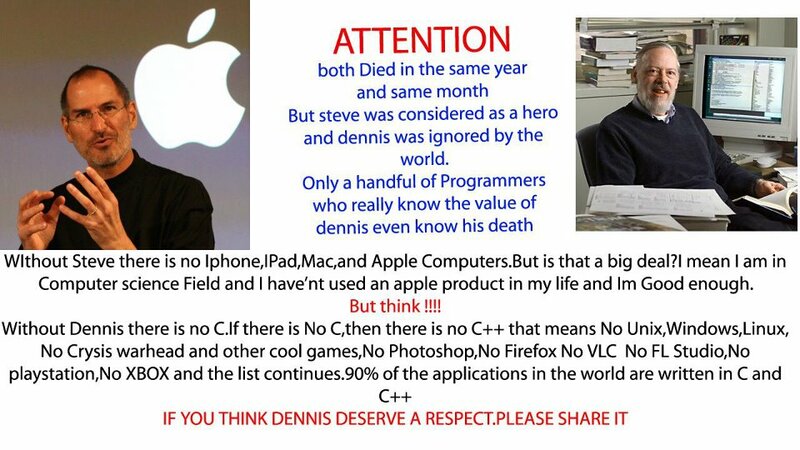 Please provide your feedback!! Thanks. 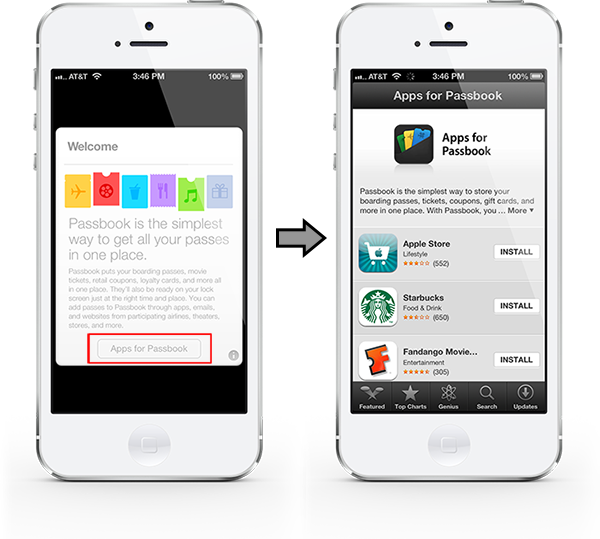 Install Facebook SDK for iOS 6. The default install location is "Documents/FacebookSDK"
SDK includes an Xcode project which contains sample code for separate modules linked with Facebook SDK. To run an app with Facebook, We need to mention Facebook App Id, for that a new Facebook App needs to be created using Facebook personal/developer account. Create an Xcode project to implement Facebook SDK. Add frameworks "FacebookSDK","Accounts","AdSupport" and "Social" into the frameworks section (using build phases -> link libraries) of Test App Xcode project which we created in Step 4. Add "libsqlite3.dylib" library also in the frameworks section from the build phases -> link libraries. The Facebook SDK for iOS will automatically choose the best option when you attempt to use Facebook login, i.e either through the Facebook App on iPhone or opening the mobile Facebook in the Safari browser. 1. Set up an Xcode project, here we created a single view application project named "FacebookTest". 3. Add a button in the View Controller to initiate the login flow. Wire this button to an action named authButtonAction in header file of View Controller. 4. 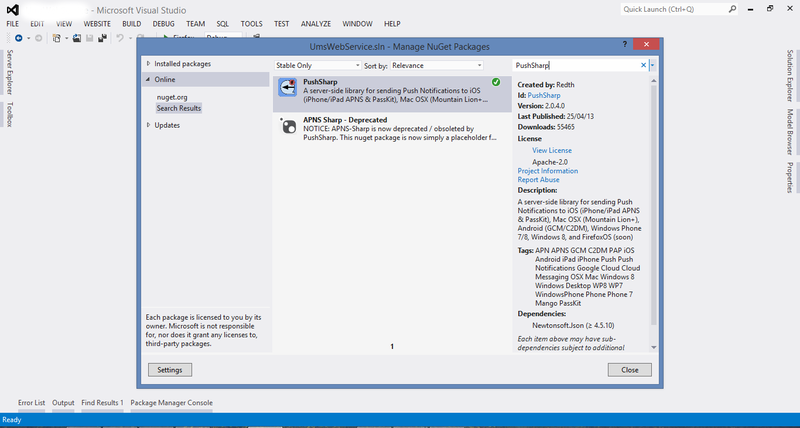 In AppDelegate.h define a global variable for Facebook notification and action definition to initiate a session. * Callback for session changes. * Opens a Facebook session and optionally shows the login UX. The first method called openSessionWithAllowLoginUI: is invoked when the login button is clicked or when a check is made for an active session when the main view is initially loaded. This method calls the openActiveSessionWithReadPermissions:allowLoginUI:completionHandler: method of FBSession class to open a Facebook session. The second method called sessionStateChanged: defines the completion handler. gives additional permissions for email and user likes. 7. handleDidBecomeActive: handles the call to the active session of Facebook. 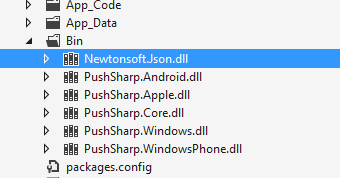 Call this method in AppDelegate.m file's applicationDidBecomeActive method. // (e.g., returning from iOS 6.0 Login Dialog or from fast app switching). 8. Call close method of FBSession class to close the current active Facebook session when App (FacebookTest) is about to terminate. 9. Include AppDelegate.h in the ViewController implementation file. // and show the login UX if necessary. 2. check FacebookAppId is added in plist and Id does exist.